Some people will tell you that the tiny town of Borrego Springs reminds them of Greater Palm Springs decades ago—small, open, embraced by the quiet of pristine desert and the darkest, starriest skies imaginable. In fact, the town of Borrego Springs, surrounded by the desert parkland, was designated in 2009 one of just a few “Dark Sky” communities you may visit around the world. 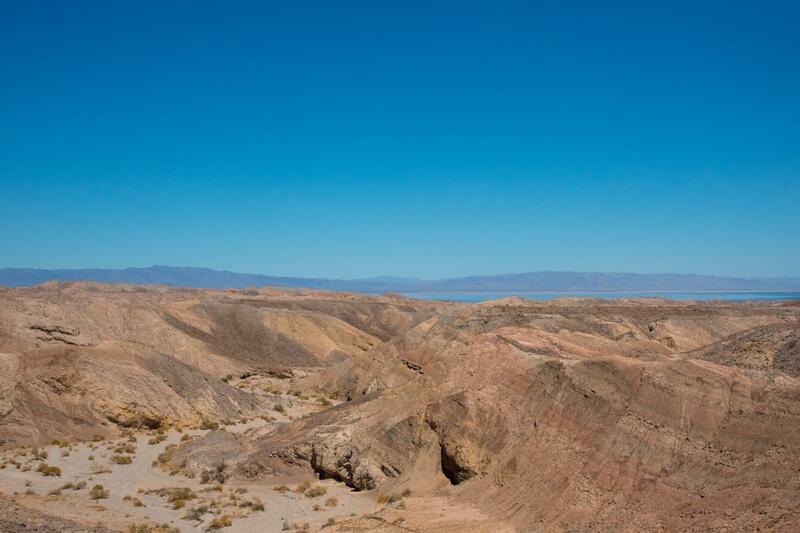 It is unquestionably the home of some of nature’s finest desert beauty, as the starting point for exploring the 650,000-acre Anza-Borrego Desert State Park. The tiny berg remains a serene getaway that promises a multitude of outdoor recreation among the cacti and palm oases, crystal clear air and dark, starry skies. 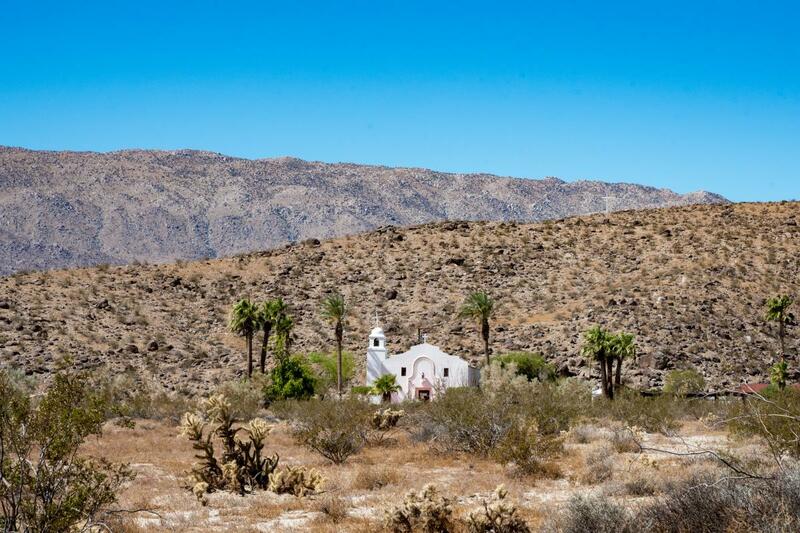 Going south of Indio on Highway 86, the desert gives way to stately date palms and citrus groves silhouetted against the hills on the pastoral drive. A turn on Route S22 near the Salton Sea leads you on a 21-mile trek to Borrego Springs on what is also called Erosion Road. The first scenery along this roadway is riddled by fractures and faults, dramatic evidence of earthquake motion. The twisted sedimentary layers resemble a miniature Grand Canyon of washed-out, rainbow-colored hills. Along this route, you enter the vast confines of Anza-Borrego Desert State Park, the largest desert state park in the continental United States. 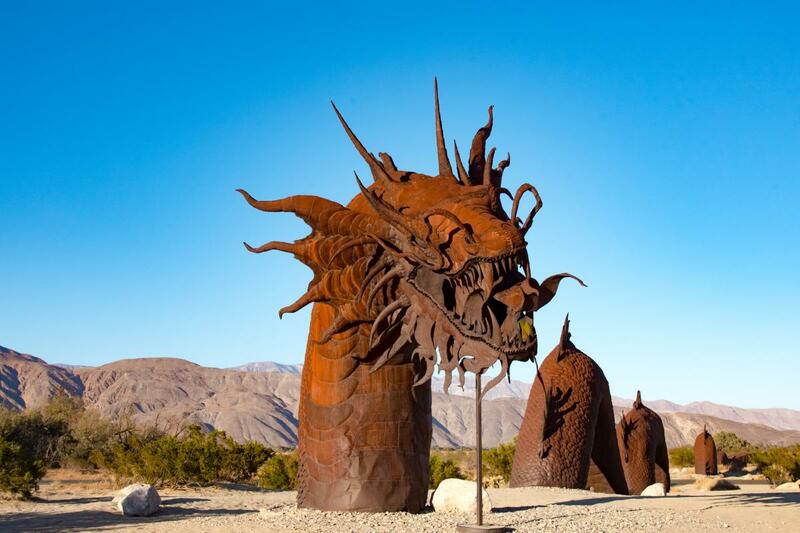 When you reach Borrego Springs, don’t blink or you may miss it. Enter onto Christmas Circle and wind around to park and walk its petite downtown area, populated by small bistros, art galleries and a handful of boutique hotels, as well as one iconic resort retreat, La Casa Del Zorro. 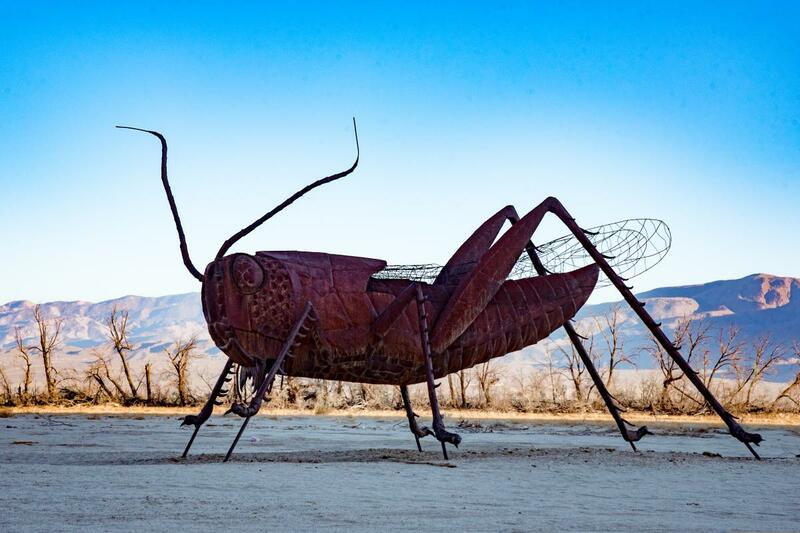 Visitors driving around Borrego Springs may think they see a mirage as they encounter dozens of large, free-standing metal sculptures of prehistoric animals such as mammoths, giant birds and saber-toothed cats, as well as leaping horses and imaginary creatures spread around Borrego Springs’ open space. The heavy-duty sculptures created by sculptor Ricardo Breceda weigh between 800 and 1,000 pounds each and were commissioned by the late millionaire Dennis Avery. Avery’s vision for Galleta Meadows was an open desert art museum for all to enjoy, free of charge. Get a map for self-touring or pick up a visitor’s guide downtown. 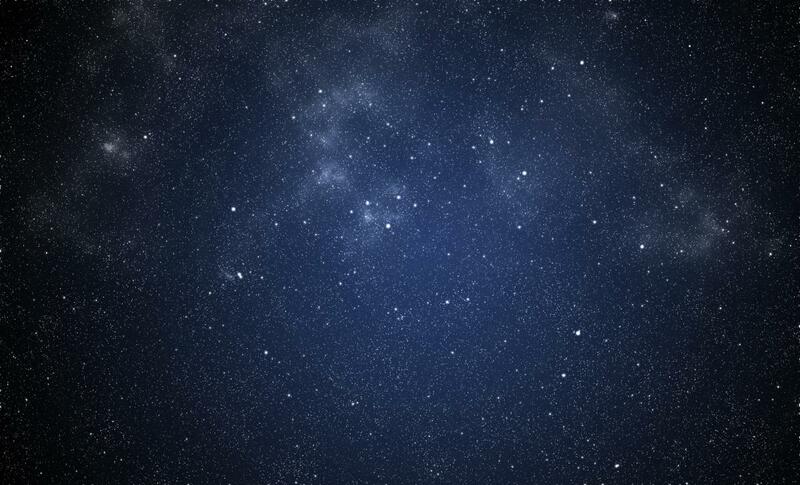 After a day of wandering, exploring and relaxing, plan to spend the night out of doors admiring the constellations. Aptly designated one of only two International Dark Sky Communities in the world and the first in California, Borrego Springs was rated by “USA Today” as one of the top ten stargazing locations in the nation. 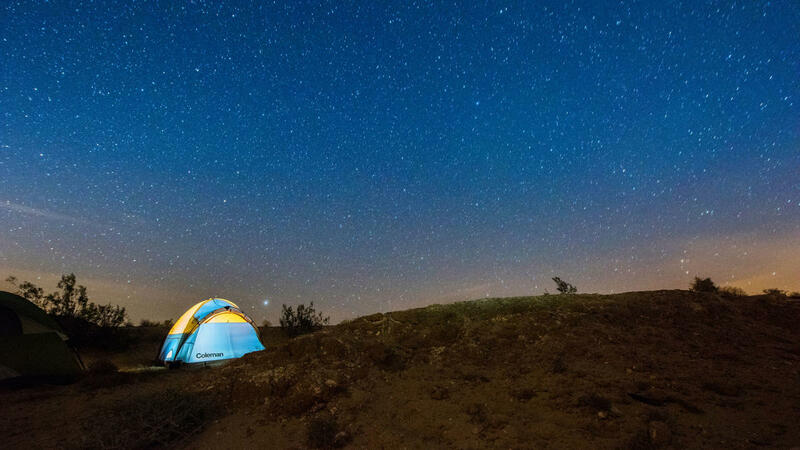 The quiet of the area combined with the dark, star-filled sky makes Borrego Springs a top choice for relaxation, especially after dark when the air cools and the dazzling stars come out to play. Surrounded by vast parkland, the town is uniquely protected from urban lights. The community, known for lacking even stoplights to pollute the brilliance of its dark, dark nights, has long been a haven for stargazers. 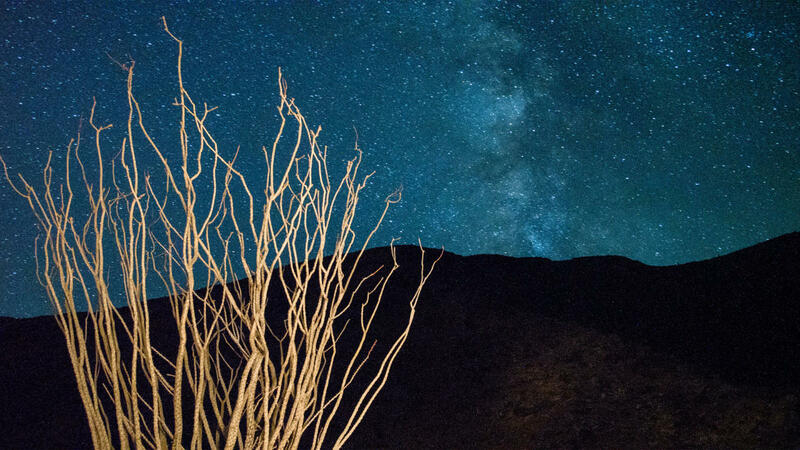 For a unique tour of the stars, schedule one of astronomer Dennis Mammana’s “Borrego Night Sky Tours.” Sights that will keep you longing for ink-colored skies are visible every night in the Anza-Borrego Desert. This personalized tour of the cosmos reveals colorful stars, stellar clusters, planets, nebulas, distant galaxies and more. 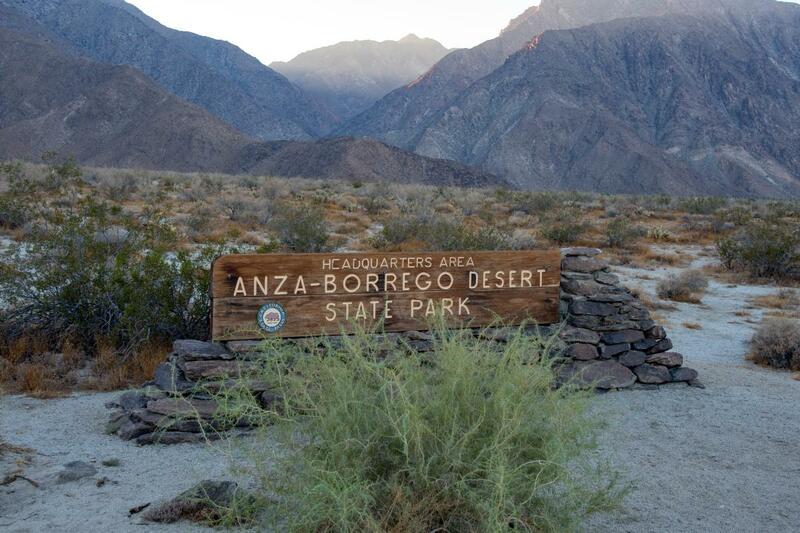 Spend your second day in Borrego Springs exploring Anza- Borrego Desert State Park. Exploring the vast park presents a plethora of cultural, ecological and natural beauty amazements. A stop at the visitor’s center will get you on your way to discovering these desert wildlands with guided tours and structured programs, as well as self-guided expedition suggestions, from pictograph trails to one of most extensive mud cave systems in the world. An off-road meandering may bring about a spectacular sunrise vista or a moonlight appearance of a kit fox. The very top of the park’s Visitor Center—the roof—is the perfect venue for evening stargazing, and the park offers special stargazing evenings throughout the fall and winter. Don’t forget binoculars for an unforgettable “excursion” through the Milky Way and several constellations. Park rangers and docents will impart stories along the way. There is no charge, and reservations are not necessary. There are many popular and unique hikes that lead to cool shady palm oases and geological wonders. 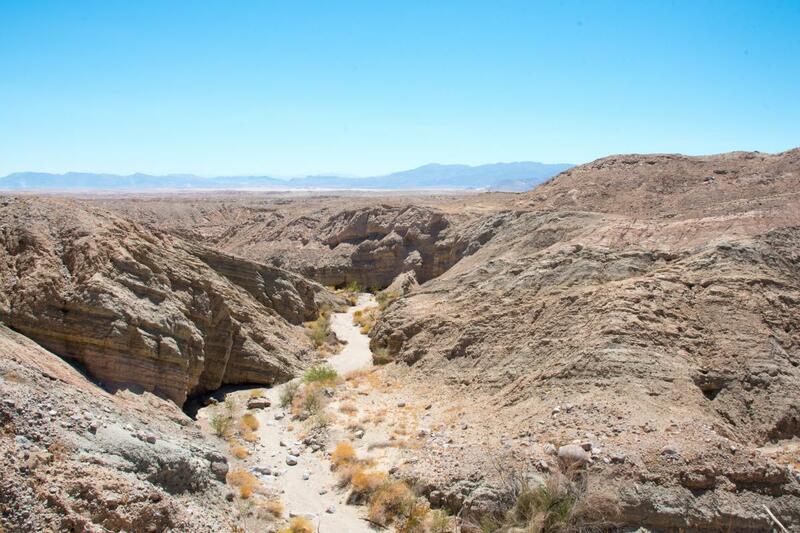 The Borrego Palm Canyon Nature Trail is three miles roundtrip on a rocky trail that goes up 700 feet to an oasis guaranteed to cool you off. The Cactus Loop Nature Trail is for those wanting a less strenuous hike. Enter through a tamarisk grove for a one-mile loop through a cactus garden. Visit a Kumeyaay village site on the ‘Ehmuu-morteros Trail, or if time is short, take a gentle one-half mile walk to explore the geological happening along the Narrows Earth Nature Trail. 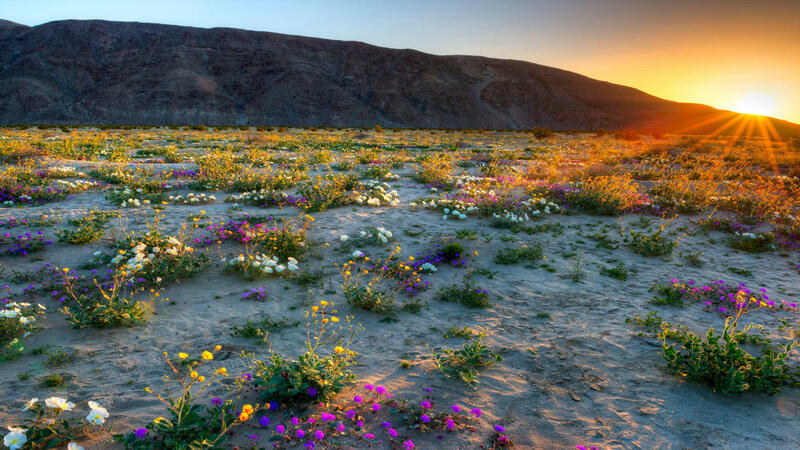 If your trip to Borrego Springs falls in the early spring, you may be in for one of the most spectacular wildflower displays in the country. Wildflowers include specimen blossoms that range in color from red to yellow and pink. The Wildflower Hotline will tell you when and where to find the blooms. Borrego Springs is a major stopover on the &apos;Swainson&apos;s Hawks&apos; 6,000-mile spring migration from Argentina to their breeding grounds far north of the desert. Local "Hawkwatchers" are stationed at strategic locations in the valley every morning and evening to count them as they overnight in the park. 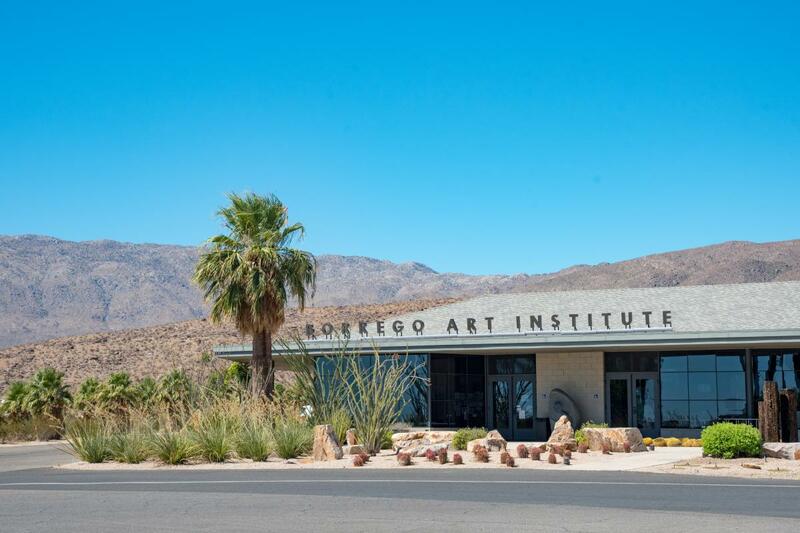 Find more things to do in Borrego Springs here. Kathy Strong, a resident of Greater Palm Springs for thirty years, has been a travel journalist, author and celebrity interviewer for more than three decades, having written or contributed to more than 20 guide books and countless magazine features, covering all areas of the world. Strong’s centerpiece travel feature, GOING MY WAY, appeared weekly in the USA Today network of newspapers for the last decade. Strong also is a contributor to USA Today’s travel magazine, “GoEscape,” USA Today weekly magazine and Forbes Travel Guide. She is the founder and publisher of P.S. Wish You Were Here, an online travel magazine.